Last May marked the end of four and a half amazing months I spent studying at the Wrigley Institute for Environmental Studies on Catalina Island. 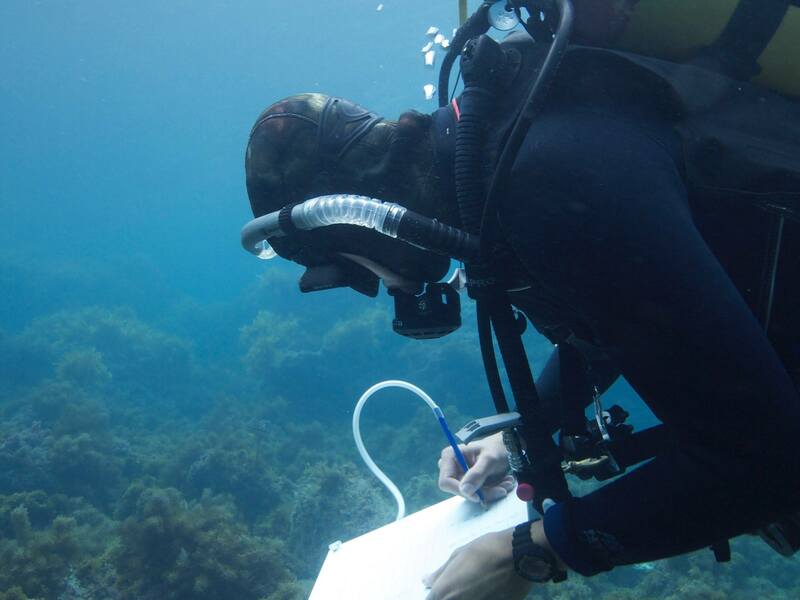 Under the USC Environmental Studies (ENST) Program’s Catalina Semester, I became a certified scientific diver and took courses exploring marine and coastal policy, fisheries biology and management, and conservation biology. The semester exposed my classmates and I to field research techniques, real-world issues and applications, and the natural beauty of Catalina. When it was time to return to reality and the stresses of urban life on the mainland, I knew I wanted to continue developing the skills and the knowledge I had attained in the spring. Fast forward to this recent Fall Semester. My classmate Berenice and I approached Professor David Ginsburg (or DG as we affectionately call him), one of our professors from Catalina, about doing independent ENST 490 Directed Research. We knew we wanted to get involved in research, but we had no idea what. Fortunately, he was already looking at something that had potential and proposed this to us. It was an amalgamation of diver survey data – about 20 years worth from the waters of Catalina Island. This data was a survey of Macrocystis pyrifera or Giant Kelp, an integral component to the kelp forest community – these kelp are the foundation of a very diverse ecological community of fishes, invertebrates, mammals, and sea birds. Thus, they represent an important focus of research. 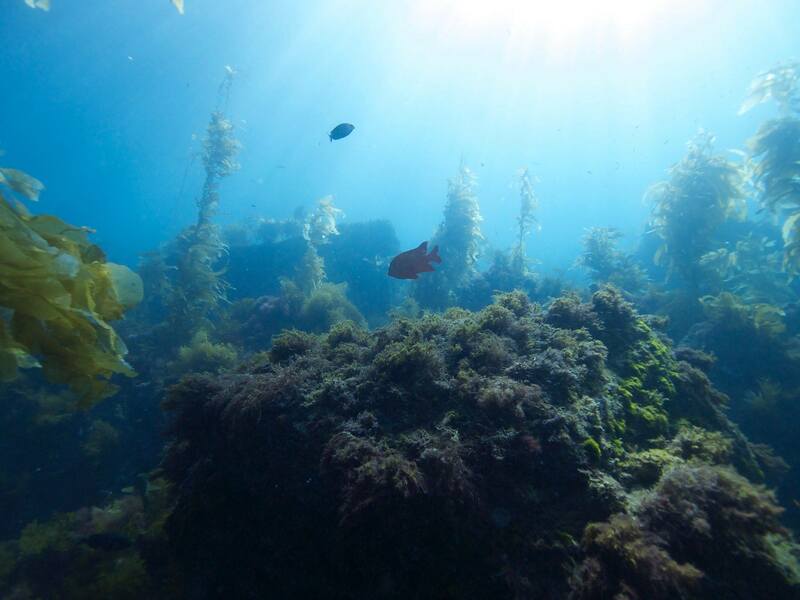 For two decades, the Catalina Conservancy Divers have been counting the number of giant kelp individuals around Catalina Island by looking at the holdfasts, which are the root-like structures of the brown algae that anchors it to a rocky substrate. They also determined which individuals were adults and which ones were juveniles by the length and by the number of stipes: individuals longer than one meter and with at least four stipes were considered adults. This archive of data is great but there was never any analysis done, which means the dataset is just waiting to be explored and understood. What hidden truths do the data contain? Can we use these surveys to track the growth and decline of giant kelp biomass at Catalina over the last 20 years? Are there other significant patterns waiting to be found? My partner and I decided to take up this project for our independent research, and we began working. We started by digging through the literature – who else has done research on kelp biomass? We found numerous sources, but we had to make sure that their methods lined up with the methods of the Catalina divers. Turns out that in 2004, the Catalina dive team changed their survey methods and so we had to divide the data in two. Each set must be analyzed separately and may be comparable to different work by different research groups. The data also needs to be cleaned and organized. Although we’ve been able to clarify many questions and break down many barriers, there is still much work to do. And that is where we are now. Organizing 20 years worth of data is proving to be quite the challenge, but I’m confident we’ll find something exciting in this pile of numbers. We’re also looking to incorporate GIS mapping and satellite data into the analysis, to connect our information about the kelp to an understanding of the landscape where they lived. And maybe very soon, we’ll get the chance to go out and dive at one of these locations. One site happens to be just around the corner from Big Fisherman’s Cove, outside the Wrigley Marine Science Center. Going there will help us even better understand the places these divers devotedly surveyed for the last 20 years. This entry was posted in Undergraduate, Wrigley Institute on February 10, 2015 by Jessica Dutton.